What always will be to poetry’s credit, is the power to persuade that vulnerable part of our consciousness of its rightness in spite of the evidence of wrongness around it. Heaney’s work faces the worst but then steadies itself against it – provides compelling reason as he wrote that ‘hope and history can rhyme together’, such a beautiful phrase. Goodness is often seen as weakness, beauty as frippery, yet are these not the very things we all strive for, should celebrate and work towards everyday? Heaney lived with a powerful awareness of social and cultural responsibility and that is why he is more than a poet he was a craftsman applying his craft to the collective good. And to that end the precision in which he used language demonstrates a master craftsman in full command of his technique and his creative expression. 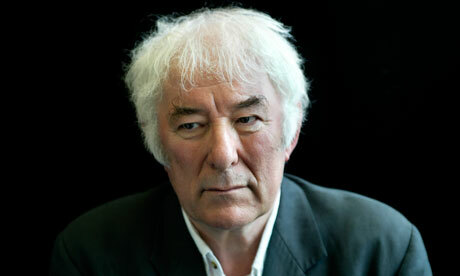 Here is Heaney at his most creative, precise best.